This season on Gotham, fans will introduced to a slew of famous villains from Mr. Freeze, Clay Face, and...Theo Galavan? While the name might not be up there with the likes of the former names, his sister Tabitha (portrayed by actress Jessica Lucas) will be the most recent incarnation of the villainess, Tigress. However, TV Guide has a theory that would make Theo one of Batman's most dangerous villains. 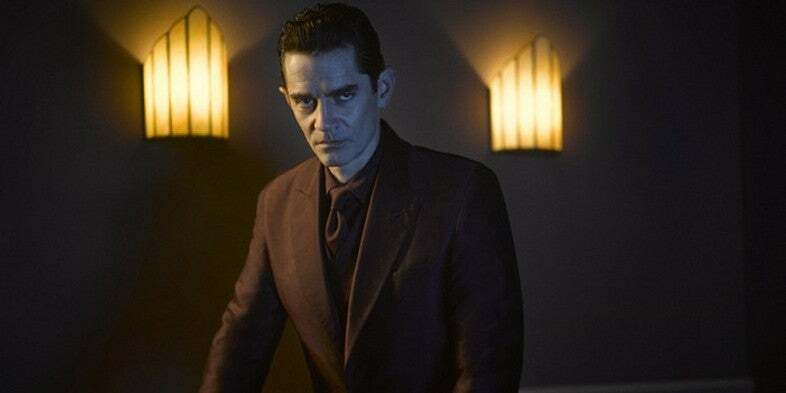 Gotham executive producer elaborates on Galavan's origins. "Theo Galavan arrives in Gotham as a prodigal son returning," Cannon says. "He comes from a very wealthy family with ancient roots in the building and foundation of Gotham. It takes a while for us to understand why he came back to Gotham and what his plan is, but it's an insidious one, obviously. He's a little bit like the Great Gatsby and Dracula coming to town with money and influence and charm and trying to bend to Gotham to serve him." Cannon even says that Theo has similar "origins of a very famous DC villain". Cannon explains that this season is about how "one man will unleash and empower the villains" and unite them to destroy Gotham so it can be rebuilt. If that sounds familiar because it's exactly the origins of this guy. If true, this would be the third live-action adaptation of Ra's al Ghul as actor Matthew Nable currently plays him on CW's Arrow and Liam Neeson brought him to life in Christopher Nolan's Batman Begins and a cameo in The Dark Knight Rises. Gotham has taken liberty with character origins before and borrowed pieces of mythos here and there to make a character complete, so it could just be coincidence and Cannon is merely making a note that it's just similar. Then again, Theo Galavan could just be a clever pseudonym. Fun fact: Theo comes from the Greek word "Theos" which means god. What do you readers think? Has Gotham introduced Ra' al Ghul under the radar, or are they simply mixing origins again and to create their own canon?